Turkey stock is made from the bones, body and whatever else is left of the turkey and a turkey broth is made from the liquid that the meat is cooked in. A stock has a much richer flavor and has more nutrients, which come from the bones. 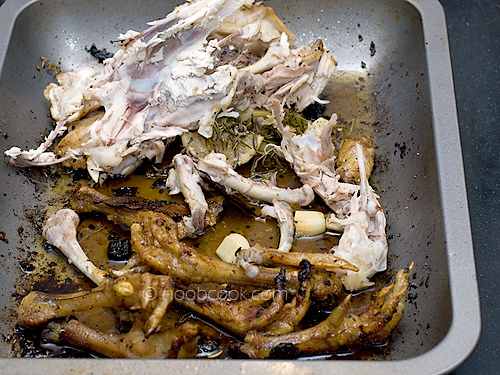 If the bones are roasted first, the color of a stock is also a lot darker than a broth.... If you don’t make turkey stock once the meat is picked clean from your bird, you’re missing out! Whether you plan on turkey soup, turkey casserole, turkey risotto or other fun ideas to use up your leftover holiday poultry, the stock is a necessary step. Even better, it’s easy, and a great way to get more food for the hard earned money you plunked down for that turkey! 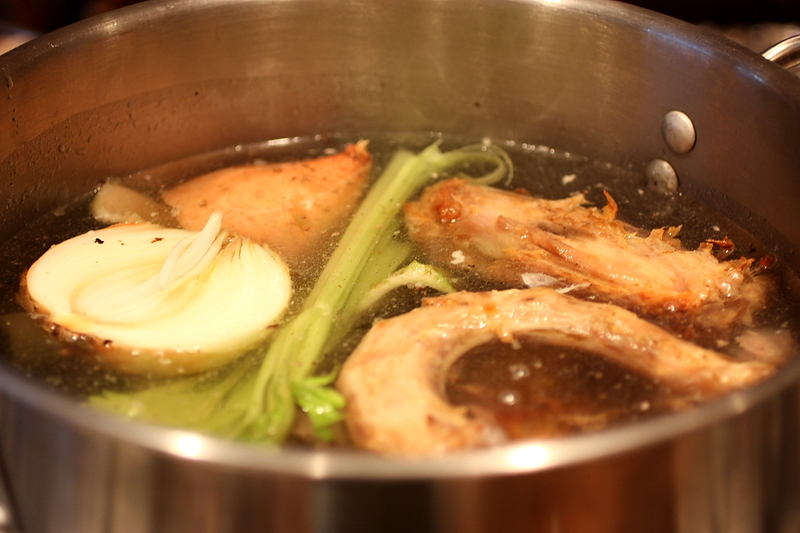 Turkey stock uses a turkey carcass, vegetables and additional herbs to make a flavorful stock. Whereas turkey broth does not have the additional herbs can can be made with turkey meat in place of a turkey carcass.